‘Visible gap’ between security measures businesses say they take, and the ones they actually do take, report claims. There is a ‘visible gap’ between security measures EU businesses say they take, and the ones they actually do take, according to a new survey by security experts Kaspersky Lab. More than four in five (83 per cent) of IT decision makers across six EU countries say they take precautionary measures to keep themselves secure. However, four in ten (41 per cent) train all of their employees, and roughly half (53 per cent) believe they have robust cybersecurity policies set up. The report also says that IT decision makers make it hard to properly estimate the damages caused by a cyberattack. The biggest reason for it is the fact that a data breach or any other type of security incident hurts the company’s reputation, which can’t easily be translated into tangible financial losses. Another key takeaway from the report is that the majority of respondents said they would love to know who was behind the attack. This is closely related with the fact that many respondents believe hackers rarely get brought to justice. 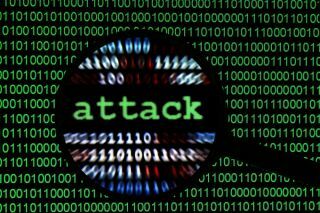 The report also has a ‘positive’ aspect, which says that almost a third of businesses in the EU use threat intelligence reports, which suggests that IT teams can use high-quality threat intel to prepare the best way to respond to an incident. “Awareness regarding cyberthreats is a very basic step for organisations, as a key foundation for staying protected from cyberthreats,” commented David Emm, principal security researcher at Kaspersky Lab.